In every business, there comes a time when all of that frantic paddling away underwater pays off. You are cruising along in millpond-calm seas, sailing effortlessly towards business success on the horizon. As Captain of your own ship, it’s all about knowing how to take advantage of times like these that makes those stormier seas ahead easier to weather. We know, we know; getting ahead on your accounts isn’t the most exciting way to celebrate those moments when everything is ticking over nicely. However, it sure beats cramming them in at midnight when your next busy period leaves you clock-watching like a Premier League manager on transfer deadline day. Whether you love it or hate it, there is no denying that networking is a must if you want to grow your business. It’s easy to put off going to those local networking events when there’s work you could be doing in the office instead, so take advantage of the times when everything is coasting along effortlessly. Plus, calm seas come with a confidence that you are smashing this whole self-employment thing, something that’ll come across in your chats with potential clients. This one speaks for itself. Is there a more satisfying feeling than seeing an empty inbox? We think not. Spring clean your inbox with military precision, setting up those folders you’ve been meaning to do for months, unsubscribing from junk mailing lists that clog your inbox and fog your mind while you’re there too. Nowadays, almost all of us have a side hustle. Sometimes they become more of wayside hustle, falling out of focus when seas get rough. Whether yours is a creative hobby with the potential to become more or an all-out business idea that has been niggling away in the back of your mind for months, calmer times call for you to put it back on the agenda. Sorry guys, we’re not talking summer afternoons in beer gardens with old friends. We mean catching up with those clients you haven’t spoken to for months or even a year. At worst, they’ll appreciate the courtesy, at best they’ll have a project they’d been meaning to mention to you for months. Every day is a school day, right? Well, not exactly. While we have endless knowledge at our finger tips through books and the internet, the last thing you want to do when you’re up against it with deadlines is read up on the next big thing in your industry. Do it while things are quieter and you’ll already be one step ahead. Now this is controversial! 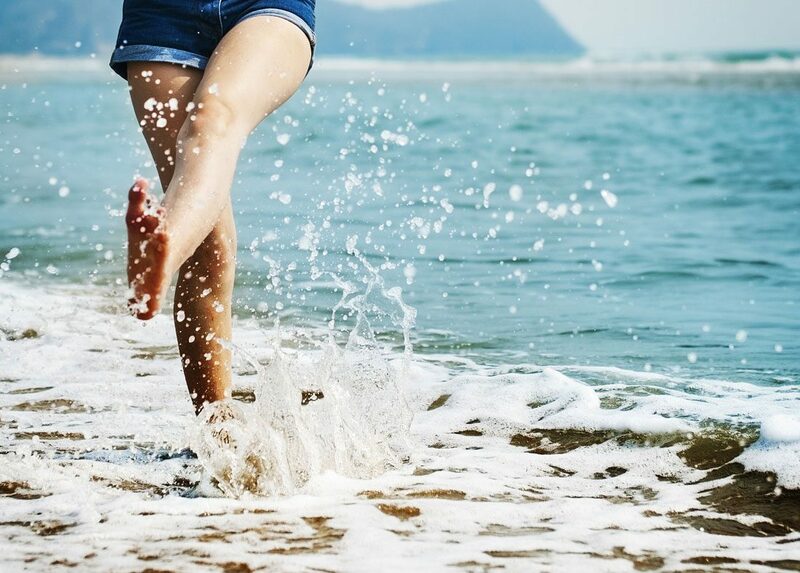 Are we really recommending jetting off on holiday when months of hard work finally leaves things ticking over nicely and success on the horizon? Well, yes. As anyone who is self-employed or freelance will tell you, there is never a right time to switch off and head away. However, that time almost certainly isn’t going to be when you’re juggling deadlines like flaming torches or chasing outstanding invoices with sheer desperation. Last but not least, it’s time to come and see what we’re all about at Helm. Come and see us for a Learning Lunch, fill a quiet Tuesday night with one our monthly Creative Meet-ups or listen and learn as we serve up some free business support at our Breakthrough Wednesdays. We promise you’ll leave feeling inspired and ready to boss it in business. Plus, we make a great brew. Want to learn more? 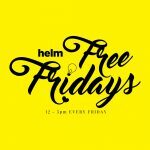 Head down to Helm on a Friday for Helm Free Fridays. Full use of the space with meeting rooms, people and coffee. Come see what we're all about.